The pace of change with web technologies can be staggering. Over the years I've learned to focus on the basics (focus on meaningful content, typography, and clean styles) and to try new techniques and tools as time allows. Two areas where I've long wanted to get up to speed on are Sass and Git. With my most recent project, I finally made myself get started with Sass until the point where I felt comfortable. Not proficient, simply comfortable. I've looked at several tutorials over the years, but many were written with a certain assumption for the level of knowledge on the other end. Many can be a struggle for the beginner because you may not even have the tools to be able to use Sass. Because of this, I wanted to write a handful of tips on what helped me get on board. With that out of the way, here's what has helped me get up and running. To start, open Terminal … wait, command line? No thanks. I wanted to find a tool that supports Sass without a lot of messing around. And as I already love Hammer & Anvil, it was great to see that Hammer already supports several preprocessing languages. Sass files can be written in two syntaxes, .scss or .sass. Most devs seem to prefer the newer .scss option and for good reason. It is a subset of CSS3 syntax so any CSS3 styles are valid .scss as well. Sadly, Espresso, my text editor of choice, does not support the .scss file extension. Thankfully, some kind soul put together an Espresso sugar to support Sass. Sublime Text supports both Sass syntaxes out of the box, so it's a good option as well. Do people still use Textmate? I'm sure it supports Sass as well. Codekit is a tool similar to Hammer that a lot of people seem to like and it compiles Sass files. When I first looked into giving Sass a try a couple years back, every tutorial seemed to start with installing packages via the command line. But if you've waited a while to try it yourself, smart developers have made it easier to do so now. With very little work, you can be up and running with Sass! One thing I enjoyed about Sass right off the start was the ability to break your styles up in to different files. This is a bit tedious at first, or for a one page or small site. But if you have a design with multiple pages and several elements per page, one CSS file can start to become unwieldily. There's only so much scrolling I want to do. With Sass, you can break your elements into multiple files. 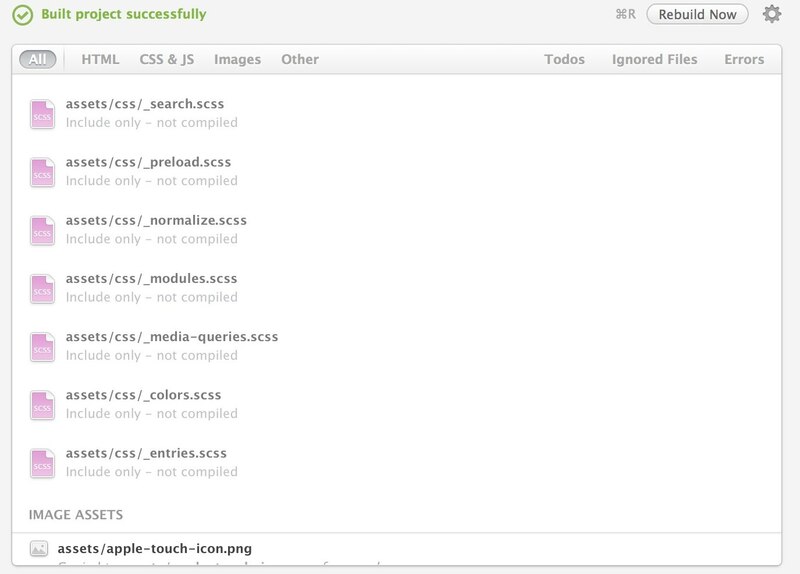 After processing, all the styles are saved into one file. The easiest way to take advantage of Sass is right here. If you do nothing else, creating a few variables is a great way to save time, saving you from having to retype colours or use the Find & Replace numerous times. Mixins are slightly different. You can add several CSS declarations to a mixin, making it great for reducing the need to type vendor prefixes. As well, it's good for creating a few characteristics that might apply to multiple modules/elements. I used the default theme for my Memberful account as a place to start. Drew and his team are talented folks, and poking around in the theme proved this to be true. Find yourself something similar, an open source project or similar, and see how smart people are putting Sass to use. From there, just pick a few things to get started, like the items I've listed here. Once you get into your project, you'll constantly be thinking, “How can I save myself time?” That's exactly what Sass was created for.